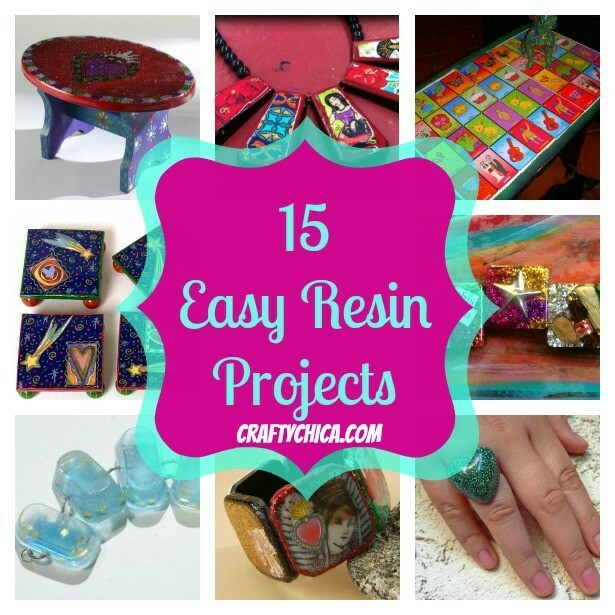 Have you always wanted to try a resin project, but don’t know where to start? I have more than enough ideas! 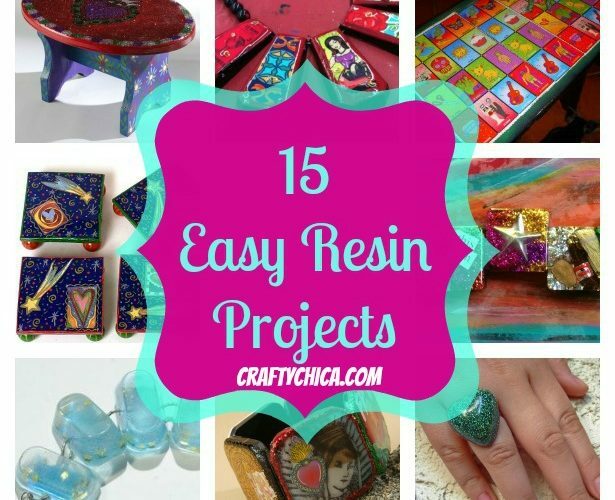 Check out my favorite 15 tutorials for working with resin! 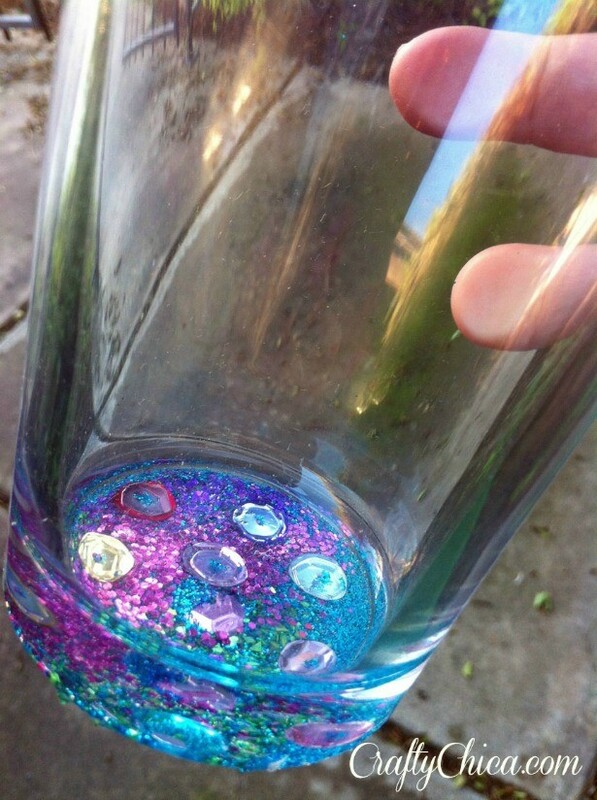 Glitter your glassware! Coat the bottom of your glasses with sequins and glitter…forever! 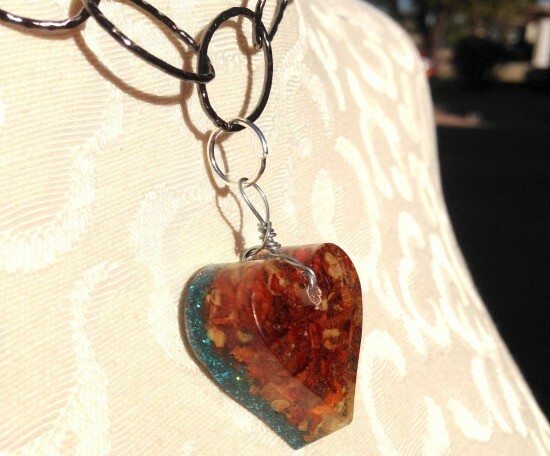 Click here to see ALL my resin tutorials! 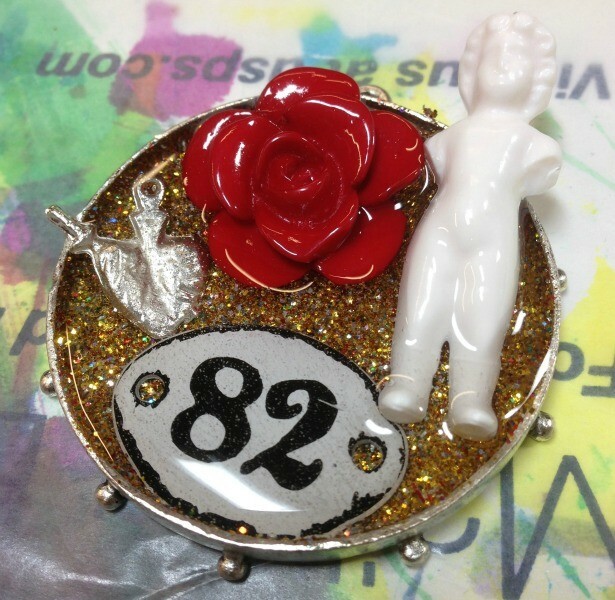 Resin Buttons. This is a good intro project that uses images and coloring! 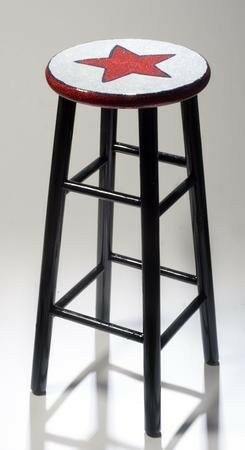 Glittered Barstool. 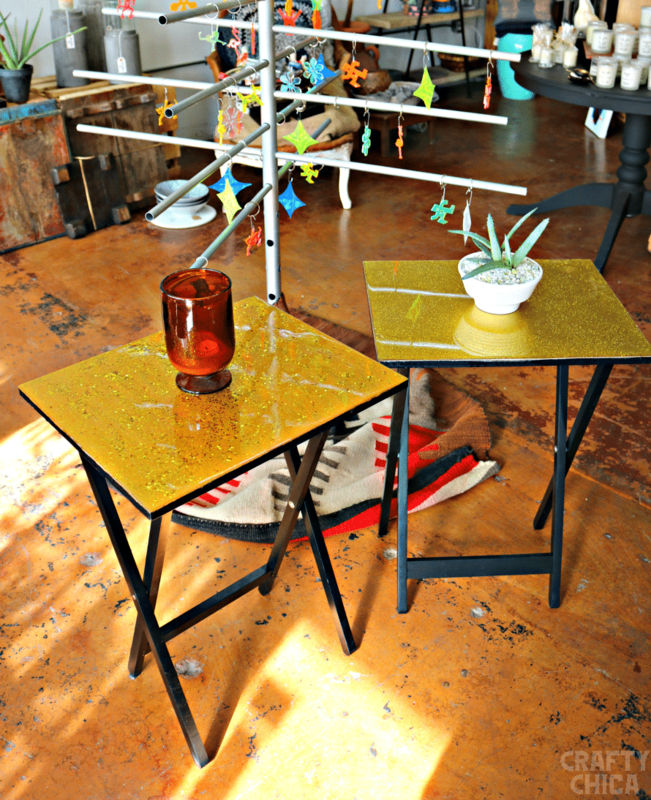 Add some sparkle to your home decor!Paint, glue, glitter, resin. Easy! Ice Age Bracelet. 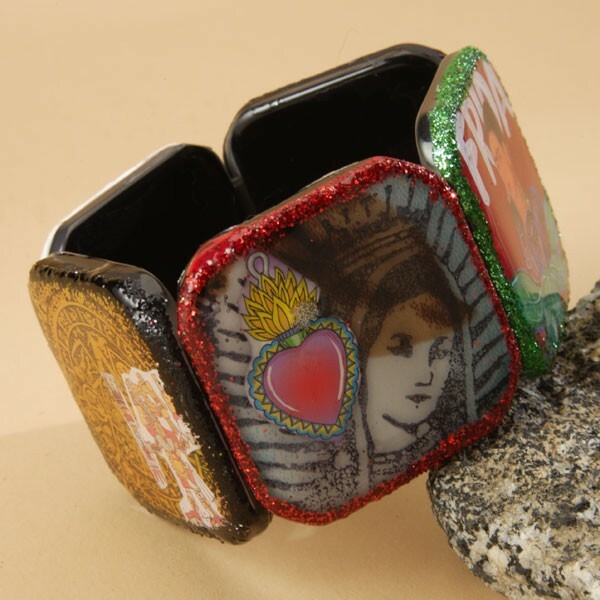 The key to cooling off when it’s too hot is by visualizing and this bracelet will help! Open Back Bezel. 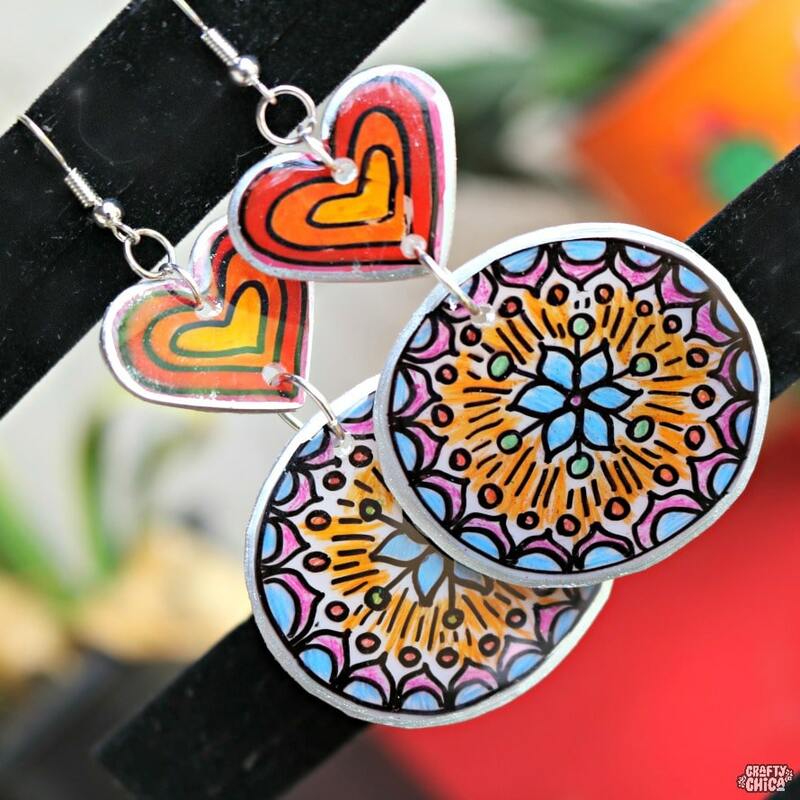 Use duct tape to create a backless resin pendant! 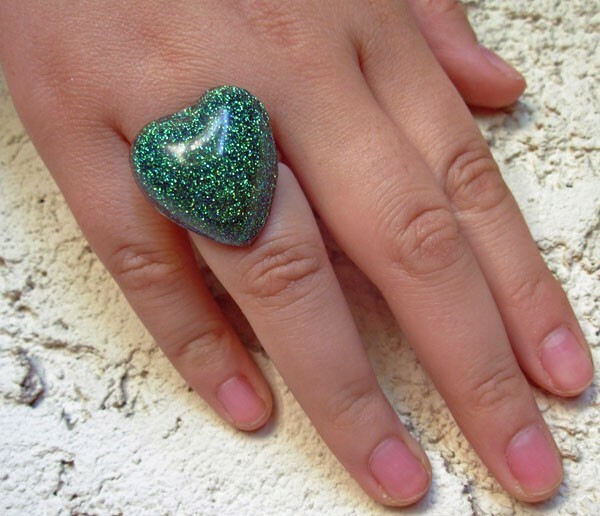 Easy Glitter Ring. Great for getting used to using molds! 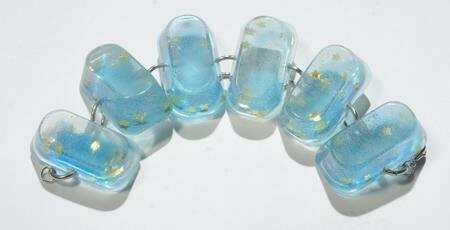 Stamped Resin Bracelet. Stamp wood pieces then resin for a picturesque look. Glittered Resin Snowflakes. 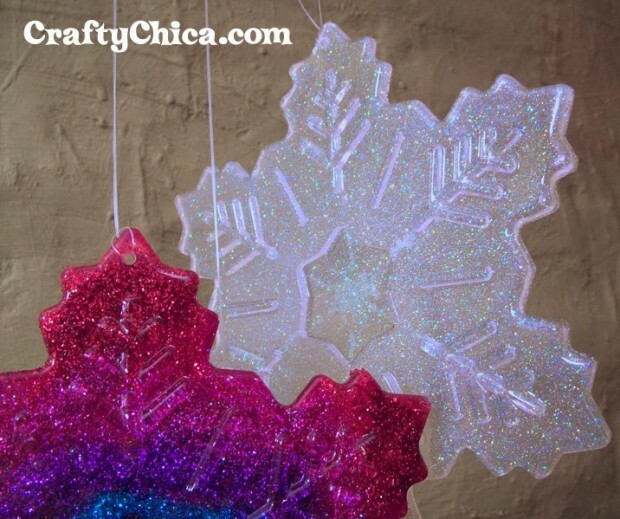 Use large silicone molds to make beautiful hanging decorations. 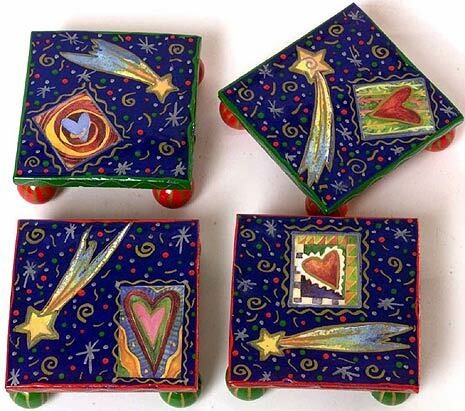 Resin Tile Coasters. Great for gift giving! 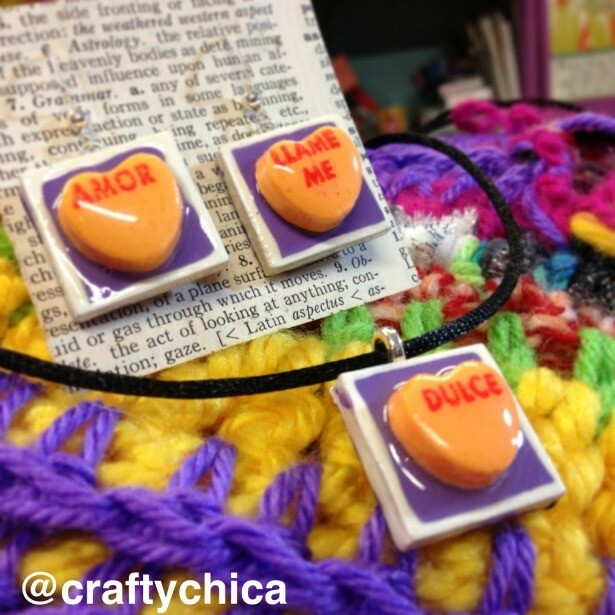 Coated Candy Jewelry. This is a sure way to keep away the ants! 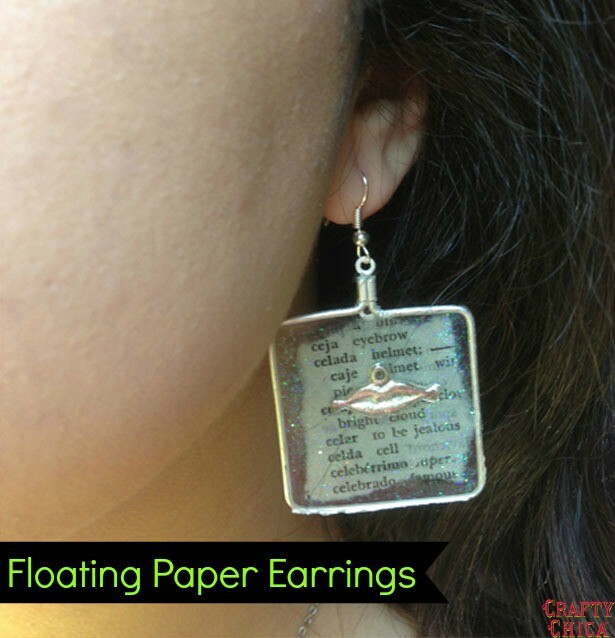 Floating Paper Earrings. Create a transparent look with paper! Chile Pepper Charms. The world is at your fingertips now that you can seal in your favorite pictures and glitter! Dimensional Shrine Pendants. Instead of trapping designs under resin, how about leaving them sticking out? Layered Resin Magnets. 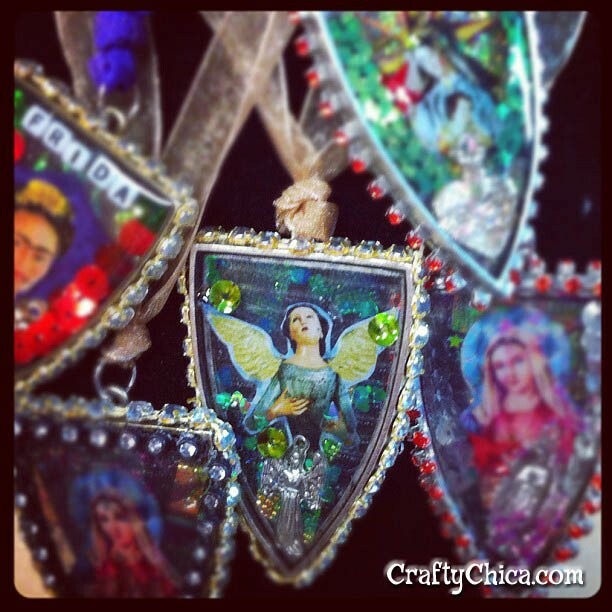 Little chunks of crafty, glittery heaven! 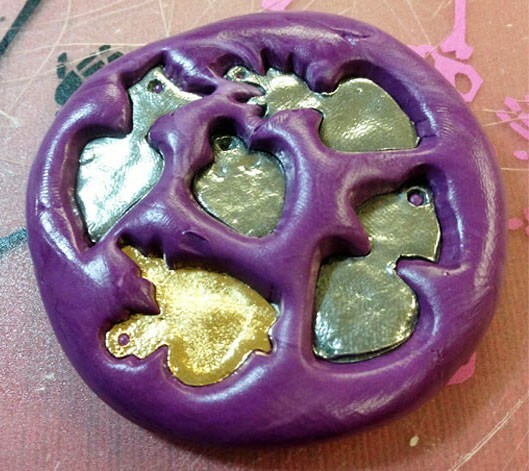 Make Your Own Silicone Molds! 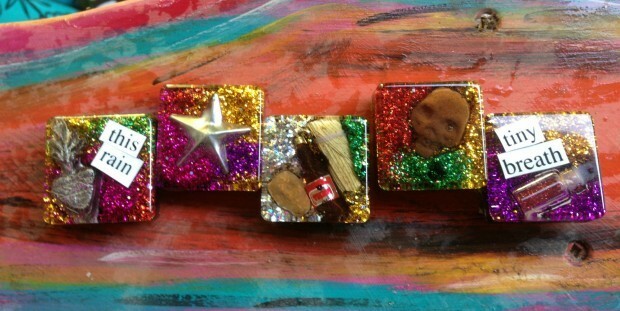 Love these glitter and resin projects, Kathy, I have made some magnets and love to assemble all kinds of goodies into the resin!!! Hey I really love all these. But when you click on the link for numb. 14 it gives directions for numb. 13! Is there any other way to view that one? They are so awesome I must know! Thanks! Love your work! It is beautiful and cannot wait to try some of your projects. Thanks for sharing!